The Eclipse range of circular axial fans is designed to be installed in kitchens and bathrooms. Its simple design provides an unobtrusive fitting that is sympathetic with most interiors. Single speed 100mm bathroom/toilet fan with pullcord and back draught shutter. Single speed 100mm bathroom toilet fan with integral adjustable overrun timer (5-30 minutes) and back draught shutter. Single speed 150mm kitchen/utility fan with back draught shutter. Single speed 150mm Kitchen fan with pullcord and shutter. 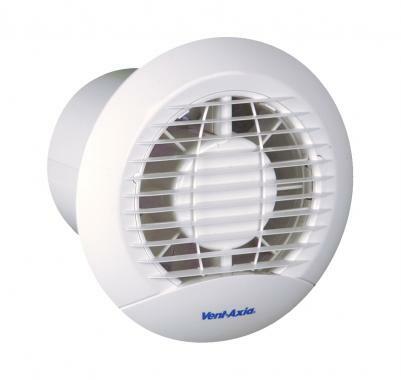 Single speed 100mm bathroom/toilet fan with back draught shutter.